Gauteng residents could soon experience water supply cuts during some periods of the day. Rand Water says the demand for water is outstripping the supply. It says to meet this rising demand it is forced to supply water from the reservoirs which reduces the stored water capacity, putting the province in a vulnerable position. “We might in certain cases have to take measures. We have empowered Rand Water to look at consumption level trends. If there is a need to cut supply of water particularly during certain hours to privilege reservoirs and the water storage facilities to increase the volumes of water, we are going to do that,” says Chairperson of the Gauteng Water and Sanitation Forum Jacob Mamabolo. Meanwhile, all areas in Gauteng where water is pumped, distributed and stored will be exempted from load shedding. 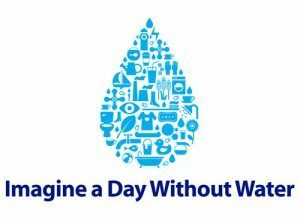 The Gauteng Water and Sanitation Forum says this is to ensure water preservation in the light of the current water situation across the country. Rand Water says the demand for water is increasing. “If we have power outages or load shedding, it disrupts the capacity to pump water and then lowers water levels in the storage facilities. So, any disruption affects the pumping capacity. Once the pumping capacity is affected it lowers water in the reservoirs,” says Mamabolo.